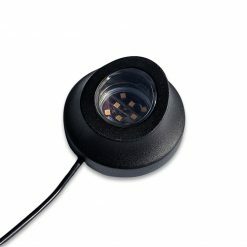 The EZ YARD DOT™ is our innovative take on ground pathway lighting. With versatile function and DIY-friendly installation, this contemporary design makes elegance easy. The EZ YARD DOT™ housing is made with a industry-grade polycarbonate housing, evading weather resistance and damage while staying lightweight and compact. These LED pathway lights are stronger than you think, with the durability to evade cracking, breaking, or fading over the years, keeping your LEDs protected and shining for years to come. "These are beautiful and easy to install! The walkway to my front door has never looked so amazing. Thank you Dekor!" 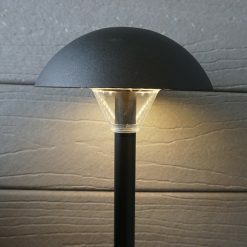 Designed to echo the simplicity of yard stakes and signs, these modern pathway lights embed into the ground with a little elbow grease and planning. No drills or power tools are needed to create a seamless shine—check out our simple installation steps from a real DIYer like you! "Easy to install and well thought out design." 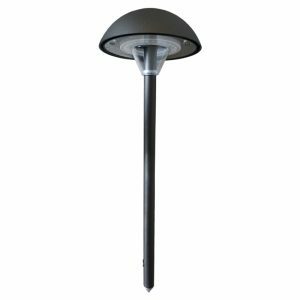 The EZ YARD DOT™ pathway lighting collection is available in a complete kit, expandable 4 pack, and kit with EZ Wifi Remote. 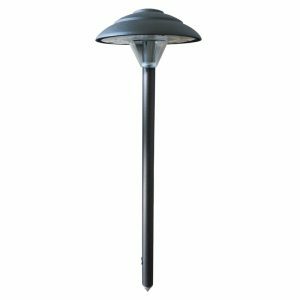 The EZ YARD DOT™ Kit provides a complete pathway lighting setup, with an EZ Transformer, Photocell timer, and 8 pathway lights and cables. 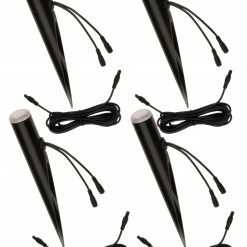 The expandable 4 pack offers 4 individual EZ YARD DOT™ components and 4-10’ or 20’ Plug-N-Play cables, length depending on your planned pathway lights setup. 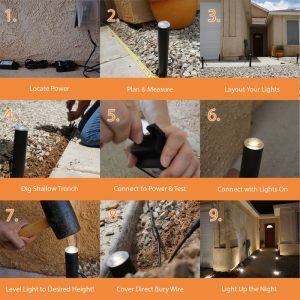 The EZ YARD DOT™ Kit +EZ Wifi uses our streamlined smart EZ Wifi Remote technology to connect your LED pathway lights to your wireless network and control using your phone. The Stepped Mushroom Pathway Light is one of the newest additions to our growing LED collection. Brightening sidewalks and pathways with a delicate design, this stepped structure adds a touch of detail and refinement to your yard without taking away from its natural beauty. Available in 6 original powder coatings, this LED pathway light perfectly accents a wide range of color schemes and styles. The Well Pathway Light makes lighting simpler than ever. With a spike installed onto the light’sdisc-shaped backing, a little pressure into the ground is all it takes to bring this LED pathway light to life. Made with heavy-duty aluminum and signature powder coating from our sister company, this compact and discrete light isn’t short on quality or substance. Use our signature well pathway light to cast illumination on bushes, foliage, and surrounding trees, giving your yard a subtle touch of shine. Well Pathway Lights are designed to add a finishing touch and accent to your home’s existing landscape lighting. To create a truly dimensional glow, pair this compact pathway light with our EZ YARD DOT™, Mushroom Pathway Light, best-selling Deck Dots, and beyond. 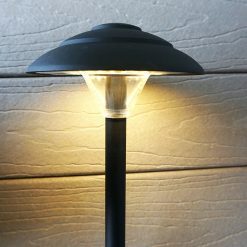 The Mushroom Pathway Light is our signature take on this classic design. 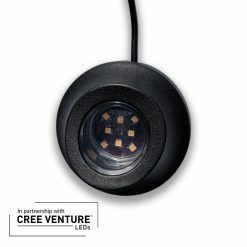 With a smooth dome silhouette that cascades your stunning Cree LEDs upon your yard, this sleek LED pathway light will truly make your yard shine. Choose from our 6 signature powder coating shades to add a modern design element to your yard without muddling the view, adding an effortless accent to its natural elements. Create a graceful nature path to surrounding wilderness, light the way to your pool, or create a one-of-a-kind shine in a new way. With DEKOR®’s integrated LED pathway lights collection, the choice is yours. "Beautiful effect. Great night lighting. Very simple to connect and install. Perfect for the DIY. Fast and easy"
"Hey Dave, I can’t stand it. My backyard is looking so beautiful with your DEKOR Lights I want to do more …"
All DEKOR® LED landscape lighting is backed by our unwavering warranty, which protects you from flaws or errors in workmanship and design. 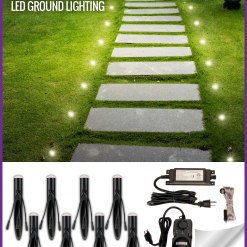 All LED pathway lights and garden lights are backed by our 5 year / 30 year warranty. For 5 years, you’re protected in the case of defective or failed DEKOR® products when used with a DEKOR® transformer. And for 30 years, your powder coating is protected from cracks, splits, or tears in finish. The EZ YARD DOT™, however, is protected for 10 years when used with a DEKOR® EZ transformer.